Every good business has a PR plan, so your sorority should too. A rock solid PR plan is an essential part of making sure your chapter stands out to PNMs and on campus. I’ve created a list of the most essential parts of a PR plan to help your chapter kill it this fall. Social media is the absolute best way to promote your chapter. Places like Instagram, Twitter, and Facebook are often the first place people look when they want to get a feel for your chapter. But making sure you’re posting cute pictures is just a small part of the social media game. Not only make sure your photos are quality but make sure that they fit your theme. VSCO is a great way to edit of all of the photos to make sure your Instagram stays cohesive. Graphics are the best way to make your social media pop and promote your events! You don’t need to be a master of photoshop to create them either! I love using apps like canva. They have templates for everything from Instagram posts to flyers and Snapchat stories. If you’re anything like me during the fall, you wear leggings and a crew neck to class every That’s why chapter apparel is a key part of your chapters PR plan. It's also the perfect way to represent your chapters style. From classic and timeless to fresh and unique, you'll never run out of options to wear. Setting up PR orders is one of the most fun parts of the job, and seeing your sister's happy faces while they rep their apparel all around campus is the best part. Back to school is a great way time to bond with other houses on campus. There are so many fun and unique ways to treat members of the greek community. Two of my favorite ways are writing back to school letters and handing out gifts before recruitment. 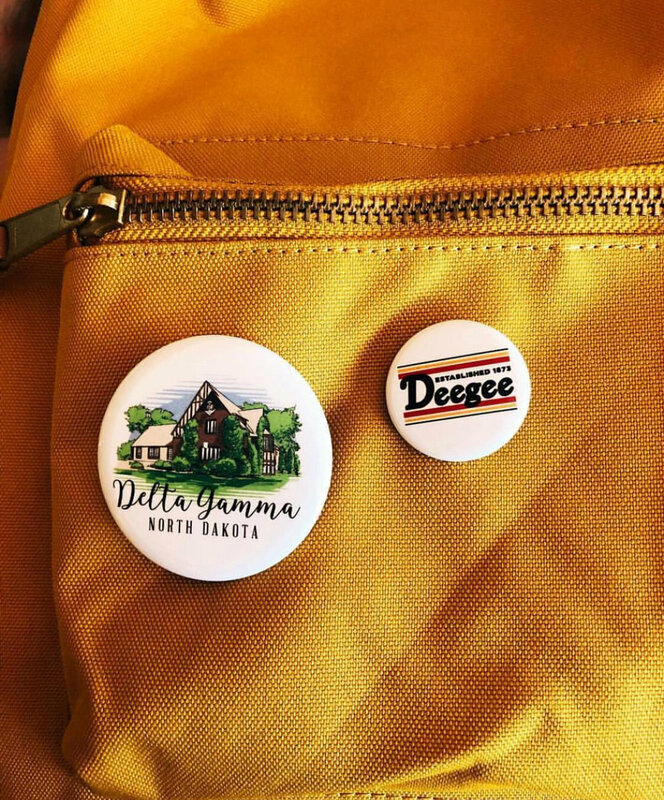 Giving a personalized gift for each sorority is a great way to let other chapters know you’re thinking of them. They don’t need to be expensive either! Places like the Target’s Dollar Spot and the Dollar Store have a ton of great options like candy and small decorations. Before you can start creating your PR plan, its essential to determine who your chapter is and how you want to portray yourselves. First, ask your chapter for some buzzwords they think to describe themselves. It’s a super fun activity and can change every year. Once you determine a few personality buzzwords you can start tailoring your message. Want to emphasize your chapters academics? Start an Instagram series highlighting the internships or research opportunities your sisters are doing! Want to show potential new members how tightly knit your sisterhood is? Have “Tag a Sister Tuesday” where girls can submit sister shoutouts on Snapchat stories!